Arthella Dees Berg, 90, passed away on July 30, 2017, while in Hospice of the Valley, in Tempe, Arizona. She joins her beloved husband, Anton R. Berg, her parents, R. Preston and Z. Adell (Harper) Dees, her brothers, P. Varis Dees, V. Naris Dees, Darwin H. Dees and sisters Naydell (Dees) Ball and Joanna R. (Dees) Leavitt in death. She leaves behind her children: daughter, Toni Robie (John), son, Russell Berg (Melody) and son, Leslie Rice (Louise); her grandchildren: Shesten (Robie) Melder (Devin), J. Rett Robie (Heather), Brent Berg (Desiree), Ian Berg (Melanie), Koreen (Berg) Riveras (Ryan), Tyler Berg (Elizabeth), Ilene (Rice) Fisher (Neal), Duane Rice, Natalie (Rice) Aldrete (Mike Boleda), Darwin Rice (Heather), Nicole (Rice) Swain (Steve), and Edsil Rice (Kristina); 24 great-grandchildren and 10 great-great grandchildren. She also leaves behind her dearest sister, Ludene Dees Carling (Chad) and many dear nieces and nephews and their families and her constant companion, Monster, a 13 year old miniature pinscher. Arthella’s main focus and greatest joy in her life was her family. Her love for them was beyond measure. 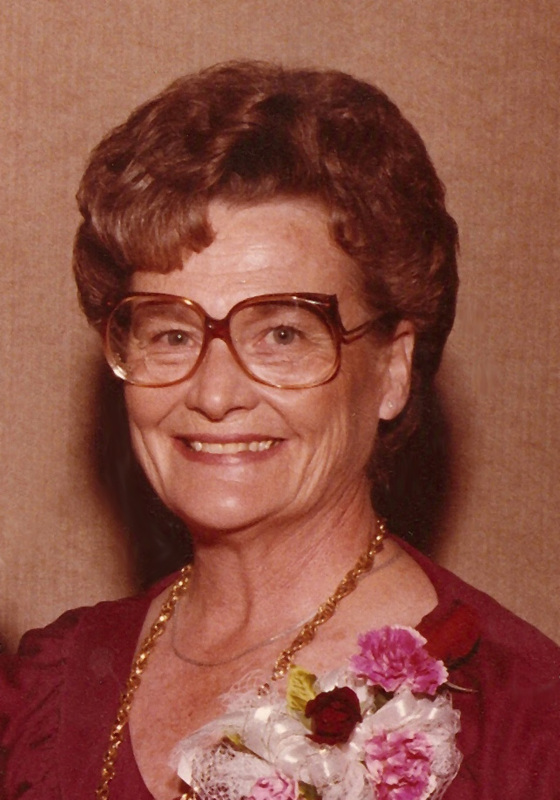 She was an active member of the Lazona Ward of The Church of Jesus Christ of Latter-day Saints. She held many callings throughout the years in all the auxiliaries of the Church. Her favorite calling was serving a mission as a Temple Worker and Supervisor in the Mesa, Arizona Temple with her husband. She especially enjoyed the visiting teaching and home teaching programs. She had a very strong testimony of her Savior, Jesus Christ, and of the restoration of His Church in these latter-days. She was president of the P.T.O. for many years and always a home room mother while her children were in elementary school. She was the secretary of the Dairy Springs Water Association for 20 years in Mormon Lake, Arizona. She was proud of being a second generation Arizonan born in Safford, Arizona and raised in Mesa. She lived in Phoenix, Gilbert, and in Mormon Lake (Dairy Springs). She enjoyed doing crossword puzzles, writing poetry, oil painting, tole painting and going out to eat and visiting with friends and family. She was a track star while in school and loved dancing, swimming and walking. She loved camping and fishing in northern Arizona, especially Oak Creek, Ashurst Lake and Lake Mary. She enjoyed watching sports and was a big fan of the Phoenix Suns and especially the Arizona Diamondbacks. She loved to laugh and her laugh was infectious. She loved life and served many people during her 90 years. She was completely independent and was actively serving others until 1 month before she passed away. She had many friends of all ages. She will be greatly missed by all who knew her. My best friend! I love her dearly!